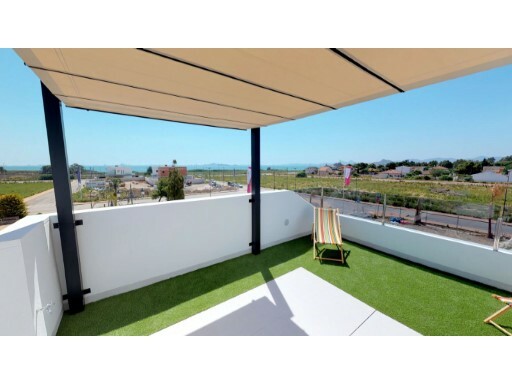 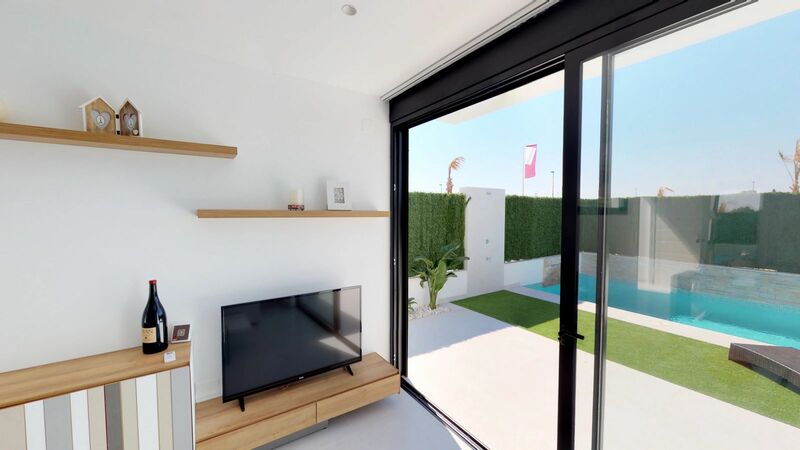 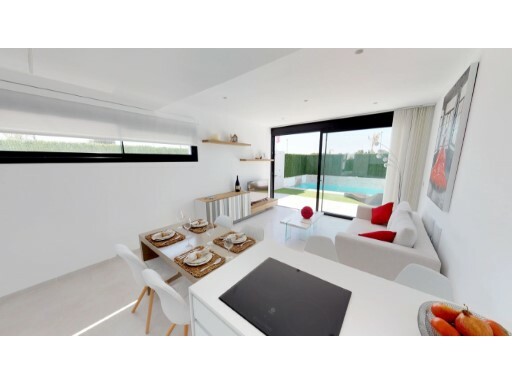 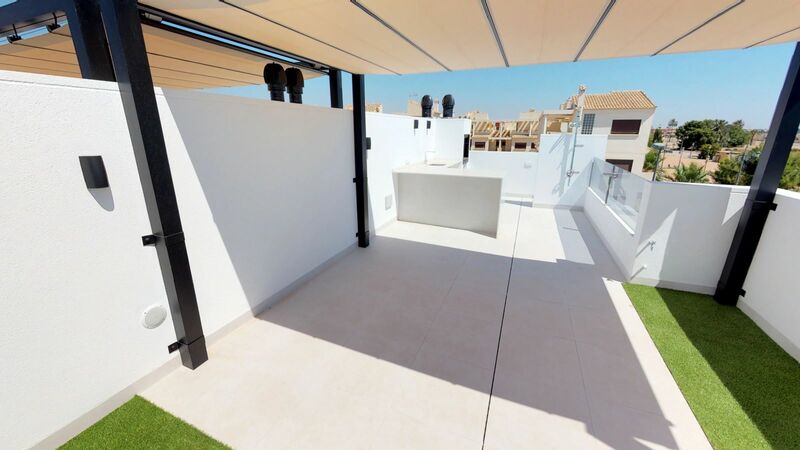 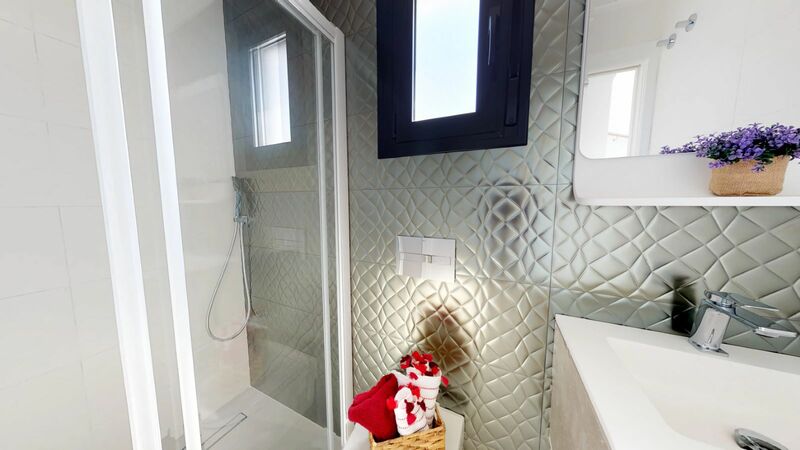 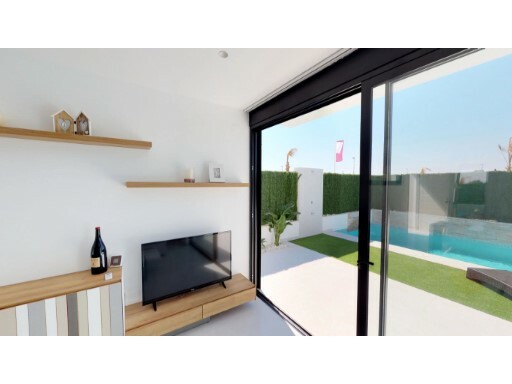 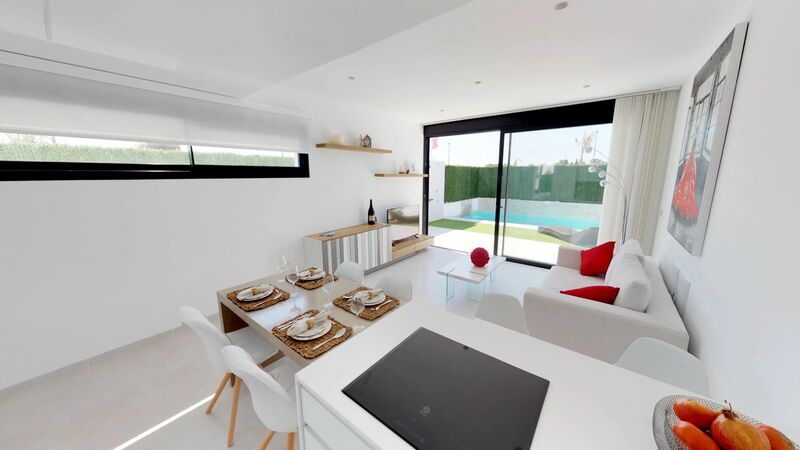 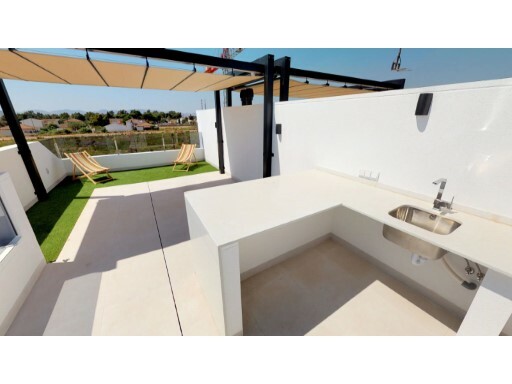 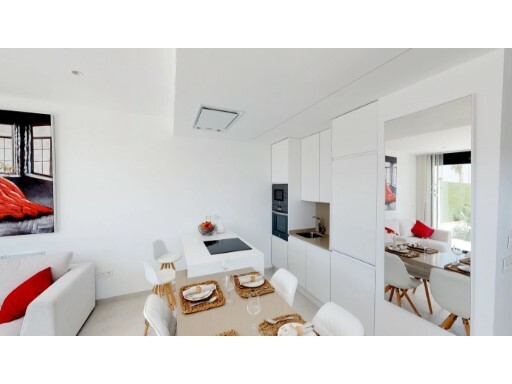 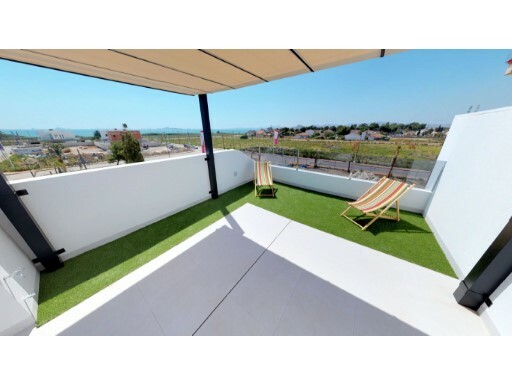 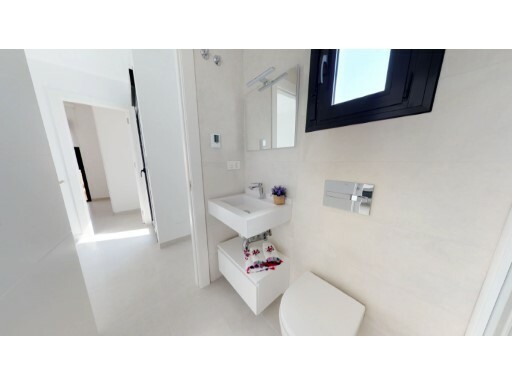 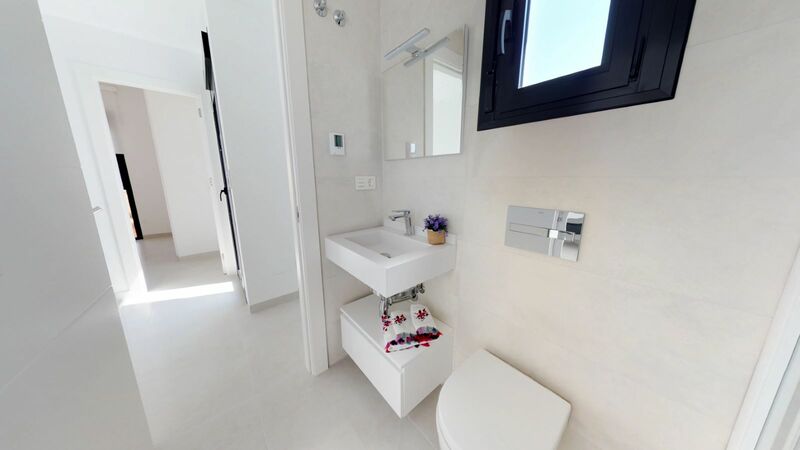 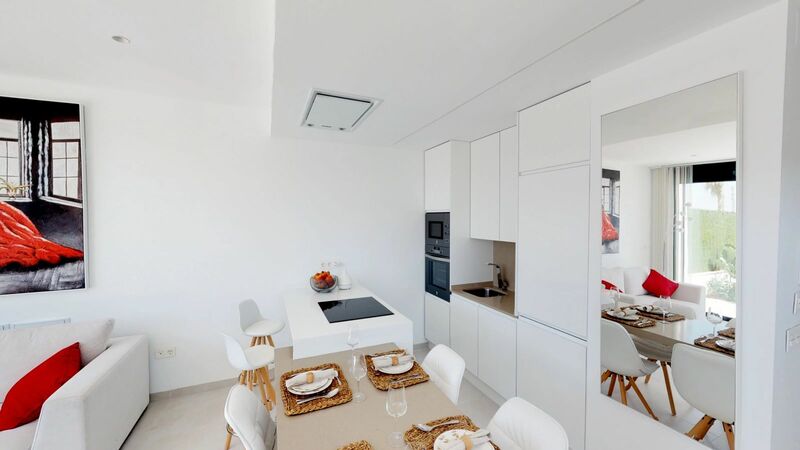 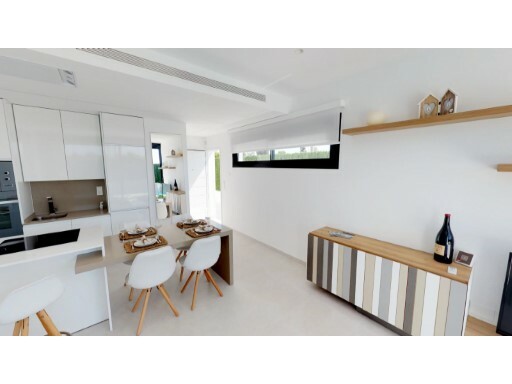 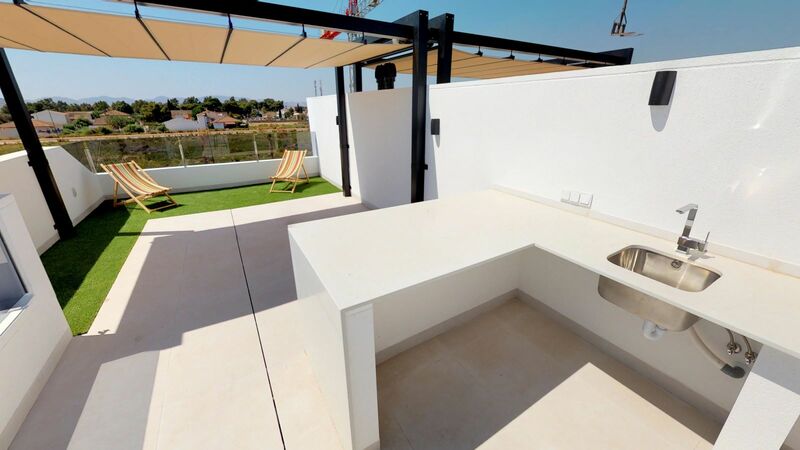 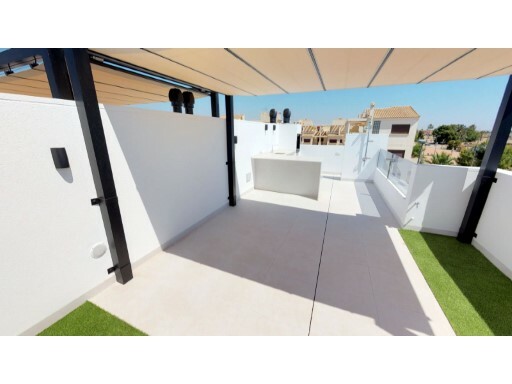 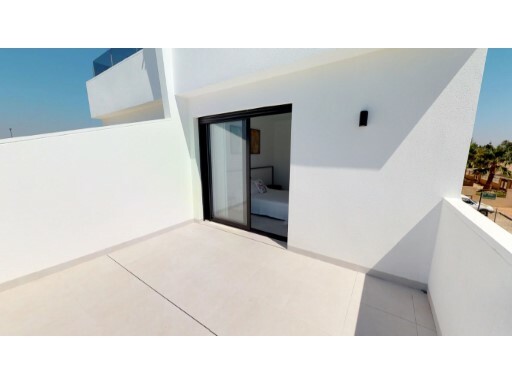 Magnific new semi detached villa located in Los Alcázares, Murcia. 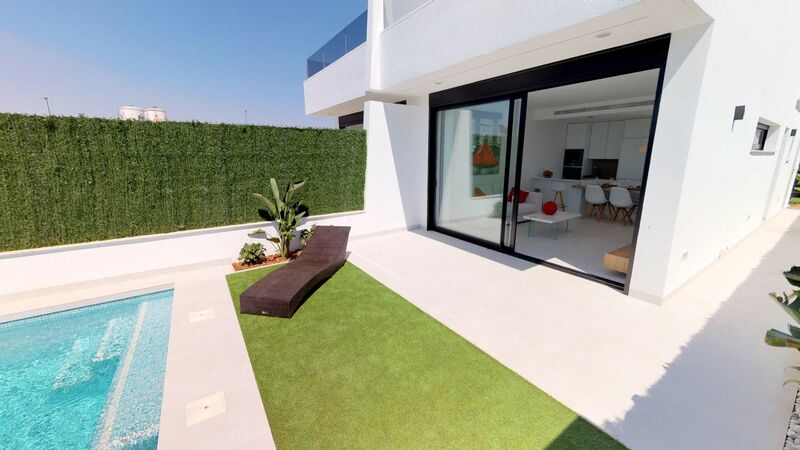 It has an area of 99m2 and a plot of 153m2. 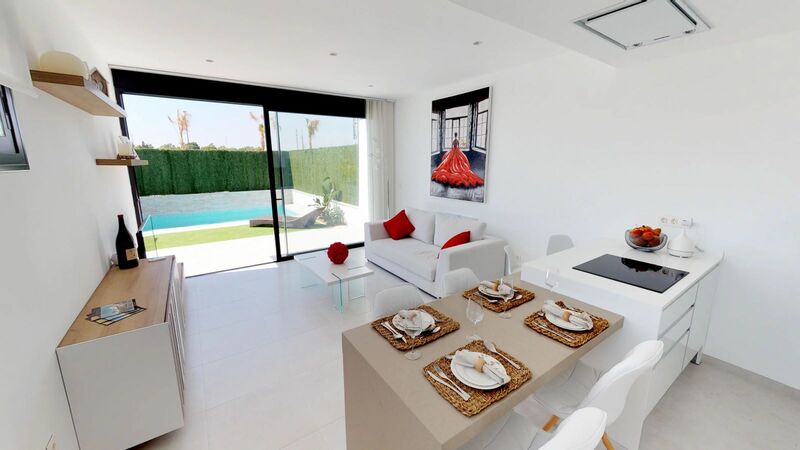 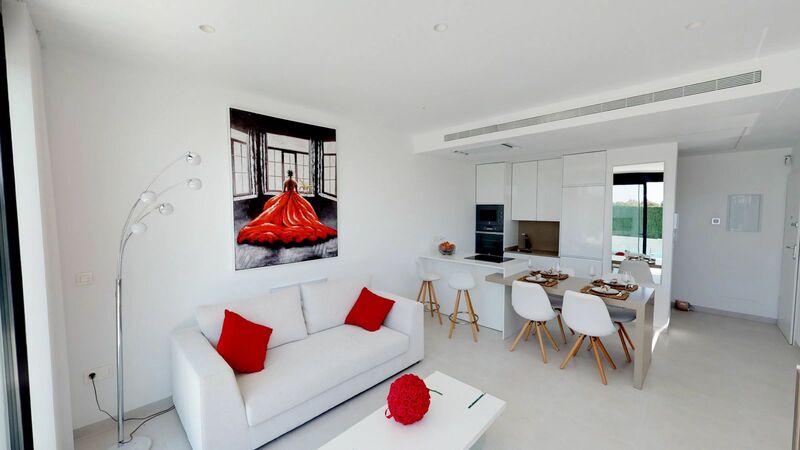 The villa has 3 bedrooms, 2 bathrooms, living room with fully equipped american kitchen. 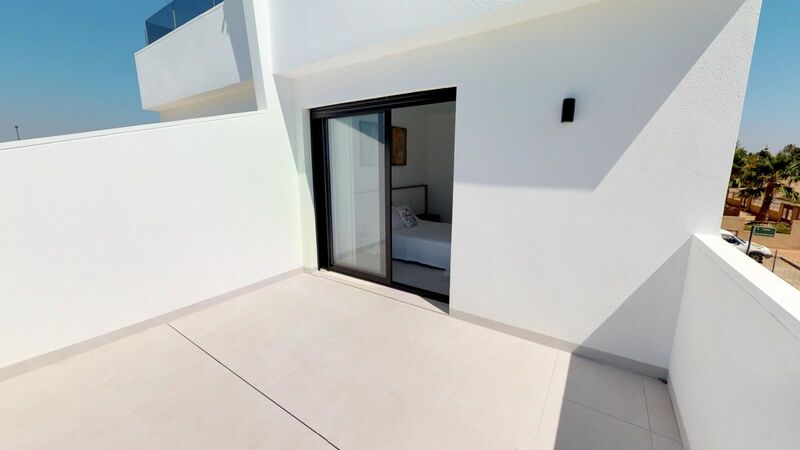 It has a garden with private pool, solarium and parking. 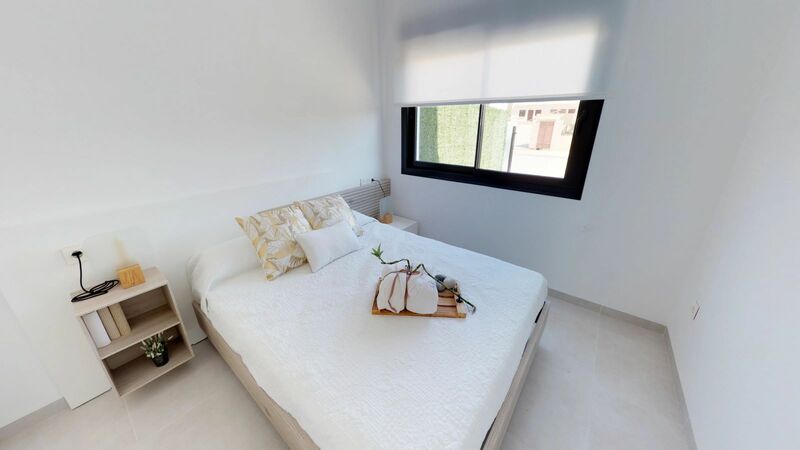 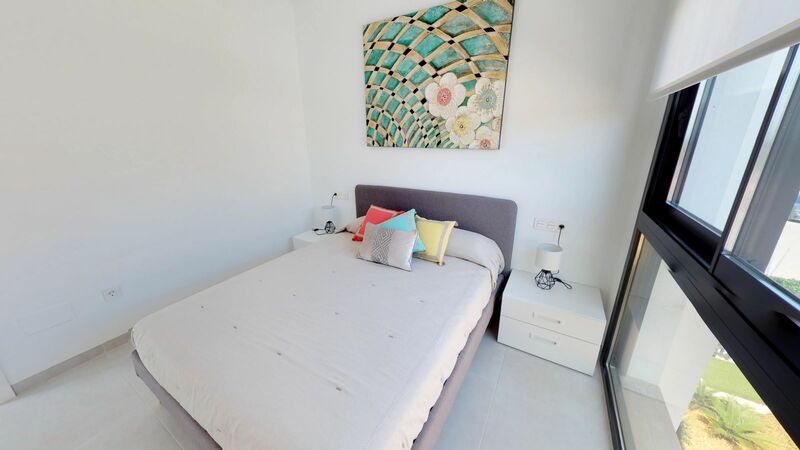 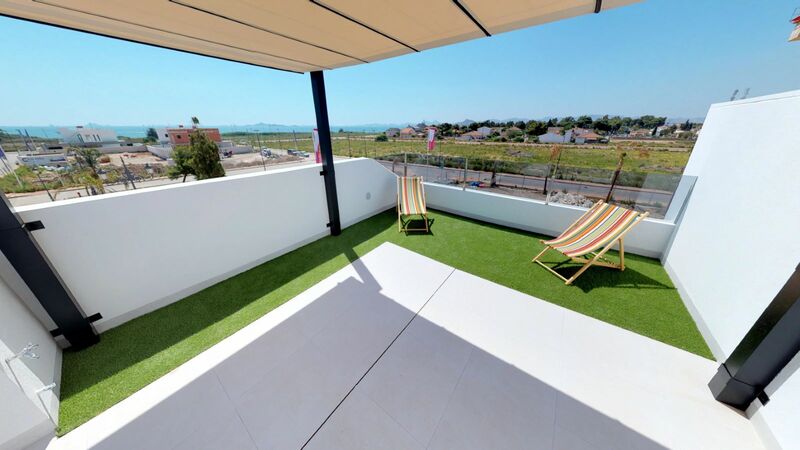 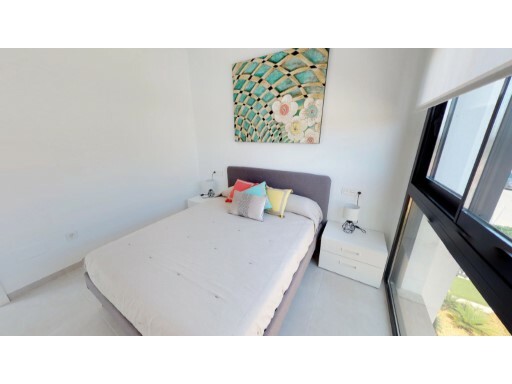 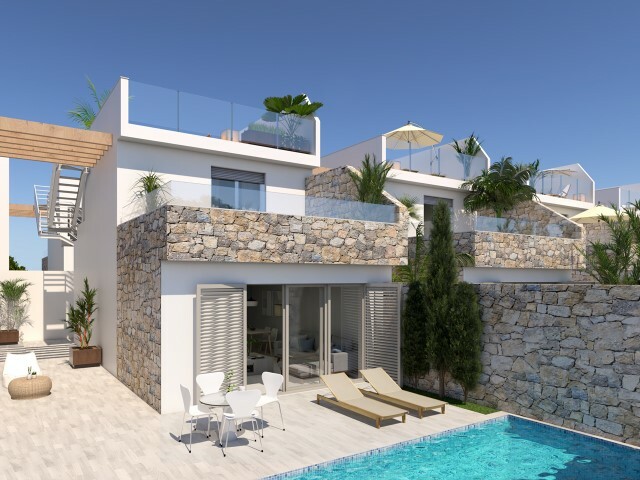 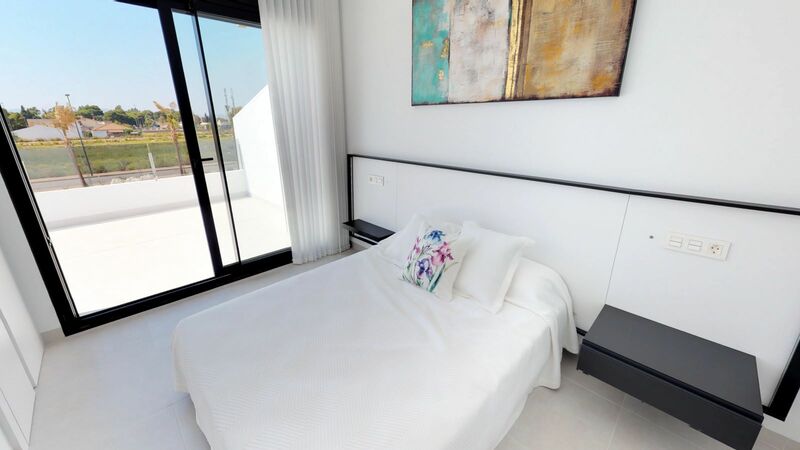 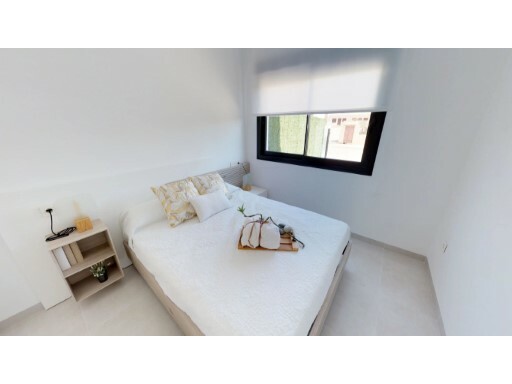 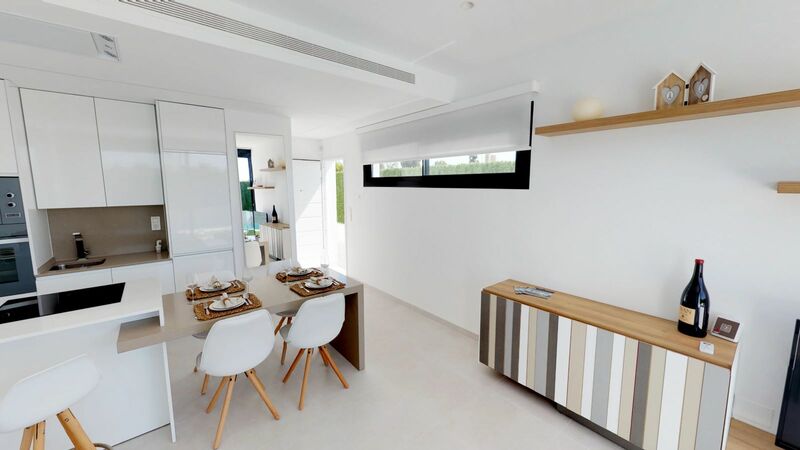 Perfectly located, just 5 minutes from the popular beaches of Los Alcazares, the main high street and just 15 minutes from San Javier (Murcia) airport. 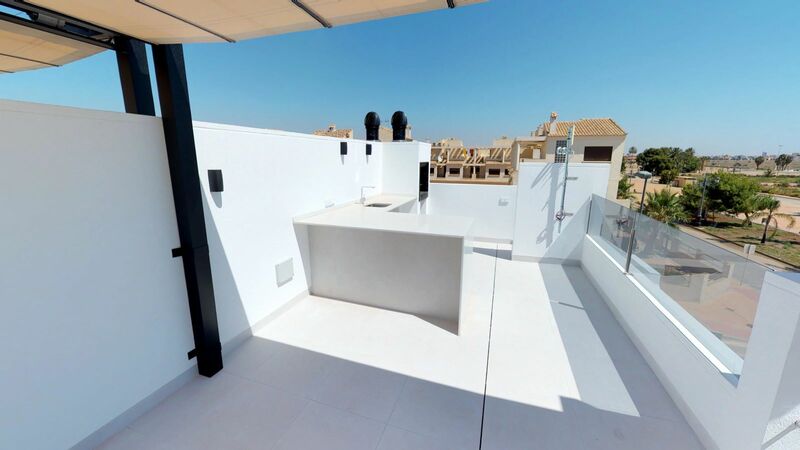 The main plaza of Los Alcazares is a 15 minute walk with an array of banks, bars, bakery local tape’s bars and international restaurants. 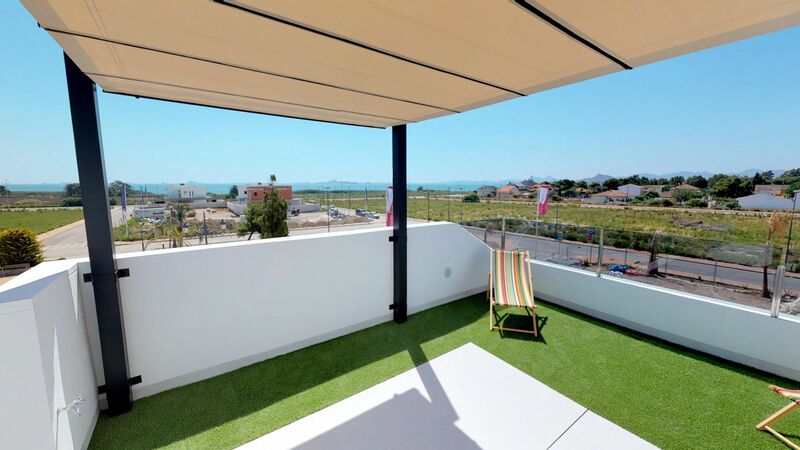 Perfect for leisure, the promenade of Los Alcazares is an amazing place to ramble either in day or evening, with countless restaurants to choose from, and some great little tapas bars just by the sea, or the ever popular marina. 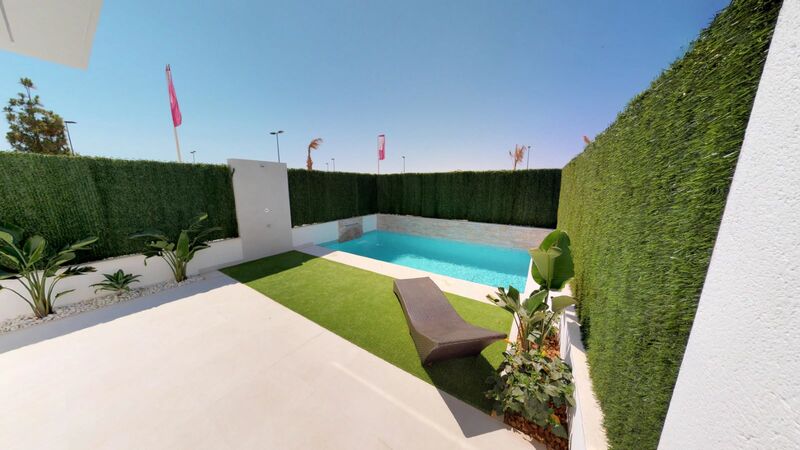 This area offers a variety of sports activities, including seasonal water sports.